Your kitchen is where all the magic happens when it comes to cooking, so why not have an amazing place to cook in? You are going to want your kitchen to be beautiful as you are likely going to spend quite a bit of time there. To do this, you need to know what you want and how to get it and that’s where we come in. Below, we have talked about some of the culinary concepts that we are crazy about, and now we are going to share them with you! Breakfast islands are not only stylish, but they are handy too. Providing you with extra space for you to prepare and eat your meals, a breakfast island will be the thing that you need to sit down and eat with your family. There are a variety of designs available, and you should ensure that you have looked around rather extensively before you settle on one. You need to find the perfect one for your kitchen, and this could take time! 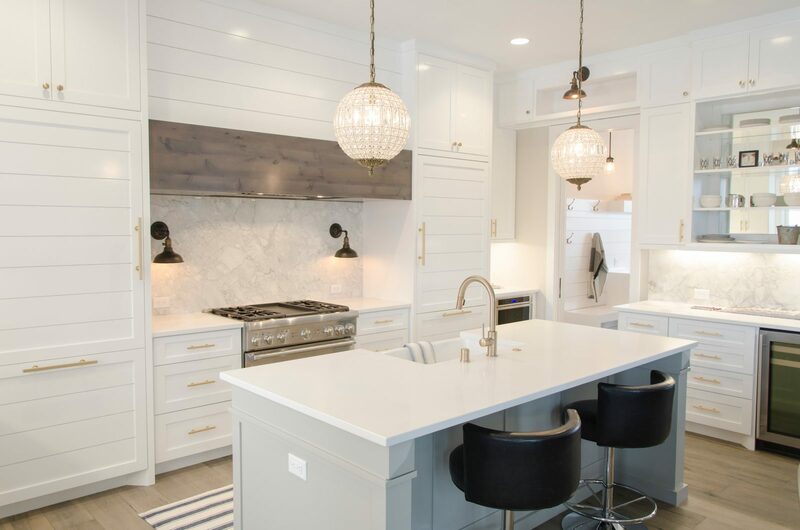 You don’t want your island to look like it has just been jammed in the middle, so think about the aesthetic of your kitchen when you are doing your research. As well as the practical side, you want it to look gorgeous! Or, you might want to look at changing up your flooring. Laminate flooring is one of the best things that you could have in a kitchen. It looks amazing, but further than this it is far easier to clean than anything else. Made a little mess on the floor? That’s no problem just sweep or wipe it up and it will be like it was never there in the first place. As well as this, laminate flooring is also far more durable than your average floor. If you take a look in various flooring stores, you will find a range of options for your kitchen! Have you considered adding some awesome tech to your kitchen? You can get a variety of smart devices that will make your life that little bit easier. For example, have you heard of a smart kettle? You can link this to an app on your phone to make it easier for you to boil the kettle. So, if you want to put the kettle on to make yourself a hot drink but you are in another room, you can use this app to do it for you! Then, when you do get to the kitchen, your kettle is going to be boiled and ready! Or, you can invest in a smart fridge. These are a real life saver especially when you have kids. Have you ever found yourself in the situation where you have been grocery shopping, and you return only to find that someone has eaten something that you have not replaced! It can be a nightmare as then you have to return to the store but a smart fridge has a little camera inside that lets you see the content of your fridge from your phone! You are never going to have this issue again!